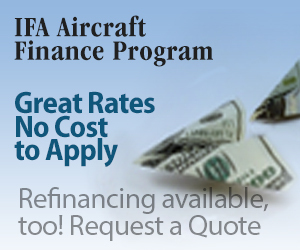 Are you prepared for a travel emergency? Many travelers think their health insurance, homeowner's insurance or even credit card will provide adequate travel insurance protection. Not so! The IFA Travel Insurance Program makes it easy for you to compare quotes and purchase travel insurance, for any type of journey, from the top U.S. insurance providers. 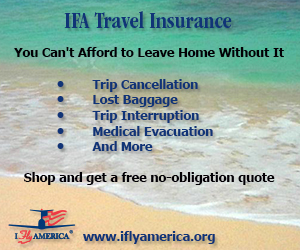 Before you leave on any upcoming travels, make sure that you are covered by the IFA Travel Insurance Program because there are hundreds of circumstances that could cause you to cancel your trip, return home early or force you to seek emergency medical treatment while traveling. in hopes that come morning, they all would be there. Whether flying regularly or getting back in the air after an extended period, it is smart to bone up on essential legal and safety measures. These questions will test your memory and perhaps suggest some refresher study. 1. Hypoxia usually does not occur in a normally healthy person below what altitude? 2. The FAA defines a near mid-air collision as when two or more aircraft come closer than what distance?